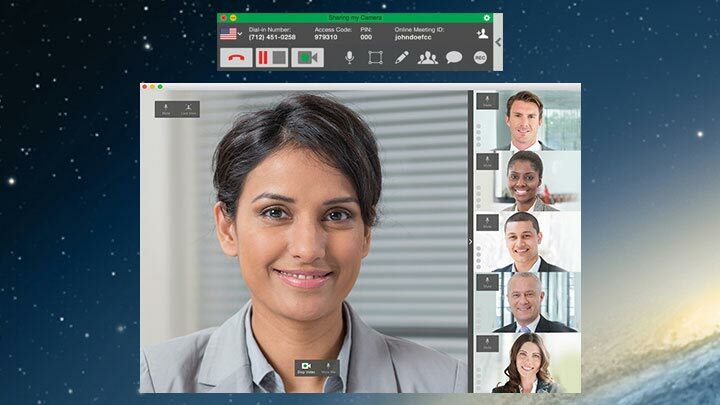 Use screen sharing and video conferencing to improve collaboration. This best-in-class service lets you do it all with up to 1,000 participants for FREE! 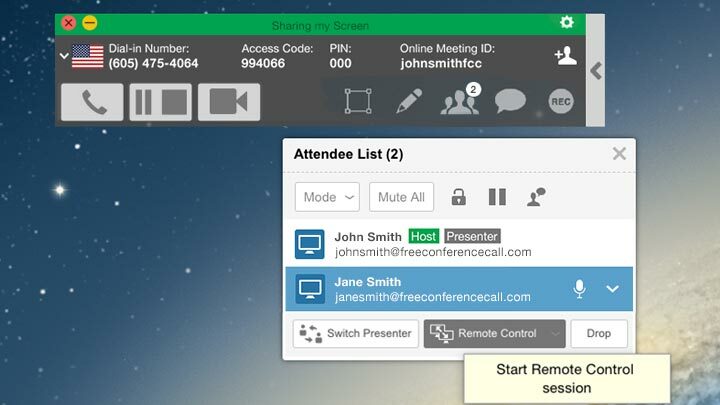 Take online meetings to the next level with screen sharing and video conferencing. Present or share documents and view up to five simultaneous video feeds. Our unique active speaker technology makes it easy to focus on the person speaking. Display up to five simultaneous video feeds. On the desktop app? Resize or click and drag the video feed to customize your screen. 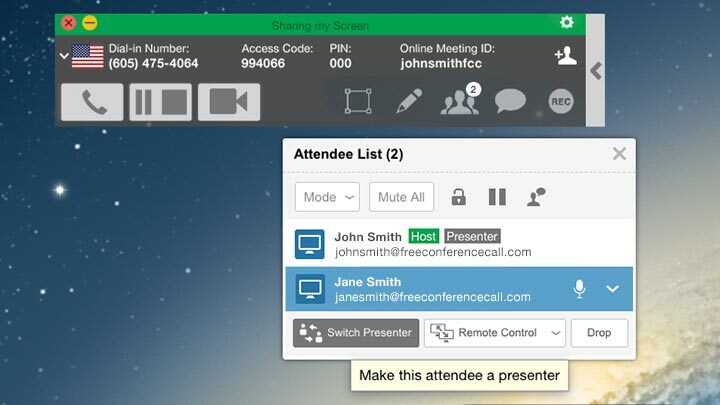 During a screen sharing session, hosts can show anything on their desktops and make meetings more interactive by switching presenters at any time. Easily request to take control of any participant's screen, making changes to documents or spreadsheets with one simple click. In addition to HD audio conferencing, your account also includes FREE screen sharing and video conferencing plus much more! 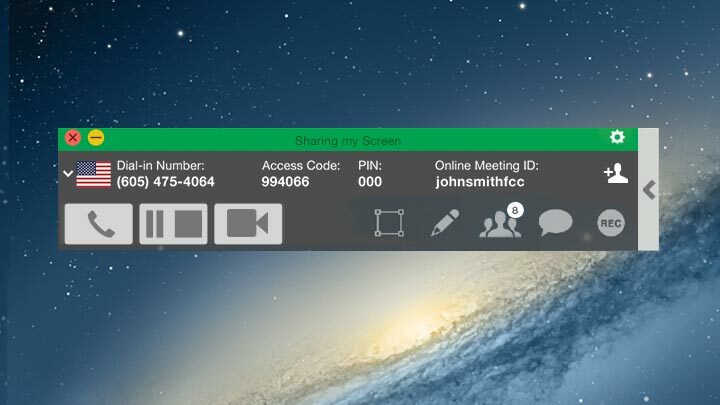 Watch this short video to see how to use Online Meetings.